April 6, 2018 Humboldt Broncos Canada bus crash Sixteen people were killed and thirteen injured when a westbound semi-trailer truck was struck by a northbound coach bus near Armley, Saskatchewan, Canada. The semi-trailer had failed to yield at a flashing stop sign at the intersection of Highways 35 and 335. The bus was travelling at a speed of approximately 100 km/h. Most of the dead and injured were teenagers from the Humboldt Broncos, a junior ice hockey team that plays in the Saskatchewan Junior Hockey League (SJHL). On July 6, 2018, the RCMP charged 29-year-old Jaskirat Singh Sidhu, the driver of the semi-trailer, with 16 counts of dangerous operation of a motor vehicle causing death and 13 counts of dangerous operation of a motor vehicle causing bodily injury. Sidhu immigrated to Canada from India in 2013. On April 6, 2018, sixteen people were killed and thirteen injured when a westbound semi-trailer truck was struck by a northbound coach bus near Armley, Saskatchewan, Canada. The semi-trailer had failed to yield at a flashing stop sign at the intersection of Highways 35 and 335. The bus was travelling at a speed of approximately 100 km/h. Most of the dead and injured were teenagers from the Humboldt Broncos, a junior ice hockey team that plays in the Saskatchewan Junior Hockey League (SJHL). On July 6, 2018, the RCMP charged 29-year-old Jaskirat Singh Sidhu, the driver of the semi-trailer, with 16 counts of dangerous operation of a motor vehicle causing death and 13 counts of dangerous operation of a motor vehicle causing bodily injury. Sidhu immigrated to Canada from India in 2013. Across the country, the crash prompted condolences from public figures and celebrities, vigils, and tributes, such as people leaving hockey sticks outside their doors. A GoFundMe crowdfunding campaign set a national record by raising over $15 million. Saskatchewan Highways 35 and 335 meet at a right-angle intersection near the village of Armley in the Rural Municipality of Connaught, Saskatchewan. The intersection is commonly known as "Armley Corner". Traffic on Highway 35, running north–south, has the right of way at the intersection and a speed limit of 100 km/h (60 mph). Traffic on Highway 335, both westbound and eastbound, has a speed limit of 100 km/h (60 mph) dropping to 60 km/h (35 mph) at the intersection, which has stop signs with flashing red lights. The signal lights were installed after a fatal traffic collision at the same intersection in 1997 in which six members of a family from British Columbia were killed. Six memorial crosses in the intersection's southeast corner commemorate those deaths. From 2011 to 2015, Saskatchewan had 13.2 traffic deaths per 100,000 people, the highest rate of any province or territory in Canada and over double the national average. The coach bus carrying the team and the semi-trailer truck collided at the intersection of Highways 35 and 335 near Armley at about 5:00 p.m. CST. The Royal Canadian Mounted Police (RCMP) are investigating the collision but have not confirmed any account of the incident. The federal force, which also acts as Saskatchewan's provincial police, stated the investigation would take some time. The semi-trailer truck was travelling westbound on Highway 335, while the bus was travelling northbound on Highway 35. At the time of the collision, the roads were clear on a sunny afternoon. Photos of the scene shown in a video released by a news agency show that the front of the bus was obliterated, while the front of the truck was undamaged. One of the survivors described how the bus broadsided the semi-trailer truck, which was consistent with the photographic account of the incident. A father of one of the victims stated that they "pulled up and saw the front of the bus was gone", and that the normal seating plan on the bus would have been rookies in the front, veterans in the back. Survivor Kaleb Dahlgren recounted later that the bus had the 18 years olds up front, 19 year olds in the middle, and the 20 year olds in the back. The father of one deceased victim claims police told him the truck ran a stop sign. The force of the impact caused both vehicles to come to rest off the highway in the northwest corner lying on their sides. According to the RCMP, the bus carried 29 people, including the driver. 14 died initially and 15 suffered injuries (three of them critically). Two of the critically injured later died in the hospital. As part of the emergency response to the accident, Shock Trauma Air Rescue Society (STARS) dispatched three helicopters to assist with transporting victims. Several of the injured were taken to the Royal University Hospital in Saskatoon, about 250 kilometres (160 mi) southwest of the accident. The truck driver was not injured in the crash. Photos show the semi-trailer's load of peat moss was strewn over the ground. Police detained and later released the truck driver. The RCMP stated that the driver was being provided with mental health and wellness assistance. The owner of the trucking company later confirmed that the truck driver was receiving psychological support since his release. The team chaplain Sean Brandow arrived at the scene of the accident shortly after the collision, and attempted to offer prayers and aid. Officers directed families of the team toward a church in Nipawin, where family and friends gathered to wait. One father recounted: "You're at the church and most of the families are there. All the veterans' parents start getting phone calls, we got your boy, come to the hospital. You get a little deeper and at the end of the night it's mostly the rookies parents there ... And then of course the police had the conversation with us." The RCMP stated that they would not be releasing the names of the dead until the families were notified, but the family of Broncos head coach and general manager Darcy Haugan confirmed on Twitter that he was one of the 16 killed. Team captain Logan Schatz was also confirmed as dead by his father. The bus driver, Glen Doerksen, and two radio station employees, announcer Tyler Bieber and statistician Brody Hinz, died in the collision. Doerksen was a former board member for the Carrot River Outback Thunder hockey team, serving from 2006-2011 and a driver for Charlie's Charters, a Saskatchewan bus company. Four days after the crash, athletic therapist Dayna Brons, the only woman on the bus, died from head injuries sustained in the collision. Three helicopters and four air ambulance planes were loaned from various cities and companies to help transport the most critically wounded to the Royal University Hospital in Saskatoon, almost 270 kilometres (170 mi) away. Due to the number of injuries, the hospital declared a Code Orange, indicating mass casualties were en route. The Saskatchewan Health Authority, which oversees hospitals and ambulance services in the province, has encouraged employees affected to access counselling available, as many of the first responders had ties to the accident. Jessica Brost, a paramedic from Nipawin stated that the crash was "just too close to home, especially in Saskatchewan, where everyone is either a billet, obsessed with hockey, or the parent of a teenage hockey player". Doug Lapchuk, President of the Saskatchewan Volunteer Firefighters Association, said his organization has sent peer counsellors to help members of the Nipawin and Tisdale fire departments who were involved in removing victims from the crash. A Tisdale Crane Operator was called to the scene of the crash to use his crane to hoist the roof of the bus to allow first responders to access victims underneath it. He stated concern about the "poor first responders, them guys – they were the ones getting the people out of there, they were the ones making the decisions". It was estimated that 80 first responders were on scene of the crash, with resources from Tisdale, Nipawin, Zenon Park, Carrot River, Melfort, and other locations dispatched to provide aid. An eyewitness who was waiting to turn at the intersection stated that her 911 call, placed moments after the incident, was responded to 15 minutes later by police. The Royal Canadian Mounted Police (RCMP) planned a news conference about the investigation into the crash. According to a statement released April 18, 2018. the Assistant Commissioner Curtis Zablocki, the Commanding Officer of the Saskatchewan RCMP, will not announce any charges related to the crash. The RCMP planned to only answer general questions from the media about the collision. During the press conference Zablocki stated that the truck driver was immediately taken into custody and released after the accident, and that the driver has been in constant contact with the RCMP. Under investigation are the engine computers for both vehicles, the drivers logs, and the driver's experience. It was also stated during the press conference that the truck driver was in the intersection at the time of collision, but Assistant Commissioner Zablocki said he could not comment on its speed when the crash took place. RCMP returned to the scene of the crash on April 19, 2018, to do additional analysis and testing with reconstructionists and officers. A police news release stated the investigators would be using vehicles similar to those involved in the collision to allow the reconstructionists to take further measurements and analyze sight lines.Previously, members of the RCMP had conducted more than 50 interviews with independent witnesses, the driver of the semi-trailer truck, the trucking company's owner, victims and other individuals. Over 5,500 pictures had been taken to document the scene and analyzed, along with imaging from 3D technology and drone usage. Kelsey Fiddler, present at the intersection at the time of the crash, has been identified as a key eyewitness. She stated in an interview she had to swing her vehicle away seconds before the crash to avoid being sandwiched by the two vehicles. Reportedly she was waiting at the eastbound stop sign on Highway 335 to make the turn onto Highway 35 and saw the bus approaching in the northbound lane of Highway 35 at what seemed to her as "regular highway speed". Fiddler is also identified as one of the first callers to 911 in response to the crash. On July 6, 2018, the RCMP held a news conference to announce an arrest and charges in relation to the collision. It was announced that the driver of the semi-trailer, 29-year-old Jaskirat Singh Sidhu of Calgary, was charged with 16 counts of dangerous driving causing death, and 13 counts of dangerous driving causing bodily harm. Sidhu had only one year of experience driving trucks and had only two weeks of training on the vehicle he was driving at the time of the crash. He had only been driving the vehicle on his own for two weeks when the crash occurred. Numerous politicians and dignitaries in Canada expressed their condolences after the accident, including Prime Minister Justin Trudeau, Saskatchewan Premier Scott Moe, and Alberta Premier Rachel Notley. Queen Elizabeth II and Prince Philip also offered their condolences in the days following the accident. US President Donald Trump phoned Trudeau and subsequently tweeted to offer his condolences to the victims and their families. Celebrities and other public figures such as Ellen DeGeneres, Drake and Whoopi Goldberg voiced their sympathy and condolences to those who were affected. Pope Francis also sent a message of condolences, which was read out by the Bishop of Saskatoon at a Sunday service two days after the accident. The Swift Current Broncos of the Western Hockey League expressed their condolences to the Humboldt Broncos organization, players, and families. A group of survivors from the Swift Current Broncos bus crash in 1986, led by Sheldon Kennedy, headed to Humboldt to offer their support to the community and hockey team. The SJHL indefinitely suspended its playoffs immediately following the crash. The league's board of governors, which is composed of representatives from each member club, unanimously decided on April 11 to allow the two remaining teams in the play-offs (the Nipawin Hawks and Estevan Bruins) to play for the league championship. The Manitoba Junior Hockey League, the SJHL's counterpart in the neighbouring province of Manitoba, delayed its championship series by four days out of respect for the SJHL and the Broncos. The champions of the two leagues play for the ANAVET Cup regional junior championship following the conclusion of their respective league playoffs. Humboldt schools reopened, though classes were not expected to be in session, on April 10, 2018, with crisis workers present. It was also released that the truck was from a Calgary-based company, Adesh Deol Trucking Ltd, which had been operating for only one year. Adesh Deol's safety certificate was automatically suspended due to the severity of the incident while they are investigated by the Alberta Transportation ministry. A letter posted on Reddit and linked on Facebook, offering support and sympathy to the unidentified driver of the semi-trailer, has been widely shared. On April 8, it was discovered that one of the dead, Parker Tobin, had been misidentified by the coroner as Xavier Labelle, who survived the crash. This prompted an apology from the coroner. One of the survivors, Ryan Straschnitzki, paralyzed from the waist down as a result of the accident, has told his parents he wants to continue playing sledge hockey and compete in the Paralympic Games. Saskatchewan Government Insurance announced on April 13, 2018, plans to improve training standards for truck drivers by 2019; at that time, no training was required to be done by certified schools. Blood donations increased by as much as 25% in some cities in Western Canada after the crash. After the news of Logan Boulet's organ donation, 3,071 Albertans registered as organ donors in a single weekend, compared to the province's weekly average of 425. The National Hockey League, Canadian Hockey League, the Canadian Junior Hockey League, and many of their respective teams and players offered tributes to the Broncos team, as did the Saskatchewan Rush of the National Lacrosse League and the Saskatchewan Roughriders Canadian football team. Players on the Winnipeg Jets and Chicago Blackhawks teams had the "Broncos" name in place of their regular name bars on the back of their jerseys in their game on April 7 and stood united in a circle at centre ice during the national anthems. The Nashville Predators played "O Canada" before their April 7 home game against the Columbus Blue Jackets, despite neither team being Canadian-based. Several teams added special decals to their helmets to honour the Broncos. On April 7, a moment of silence was observed before the 2018 NCAA "Frozen Four" Championship Game. Sidney Crosby, captain of the Pittsburgh Penguins, had a special Penguins jersey with the words "BRONCOS 18", made and signed by the whole Penguins team, sent to the Broncos. After the Winnipeg Jets beat Minnesota Wild team, on April 20, 2018, the team featured survivor Matthieu Gomercic, a forward for the Humboldt Broncos, on the jumbotron, which led to a standing ovation for him. After the accident, the Stanley Cup was brought to the hospital for the injured players. After the Washington Capitals won the Stanley Cup, Chandler Stephenson, who knew some of the people on the Broncos team, stated he intends to spend his day with the Stanley Cup in Humboldt. On June 20, 2018, ten survivors of the crash were honoured at the 2018 NHL awards in Las Vegas. Their late head coach Darcy Haugan won the inaugural Willie O’Ree Community Hero Award which is given to a person who has positively impacted their community, culture or society through the game of hockey. Two days later at the 2018 NHL Entry Draft, the Broncos were awarded the E.J. McGuire Award of Excellence. A vigil for the victims was held on April 8 at Elgar Petersen Arena, the home of the Broncos. Prime Minister Justin Trudeau and Saskatchewan Premier Scott Moe attended but did not speak. Outside the arena the cars of those who died in the accident have remained parked with white roses placed on their windshields. On April 12, 2018, people across Canada were encouraged to wear sports jerseys to remember the victims in a movement known as #JerseysForHumboldt.Many Canadians and others around the world wore jerseys, and Toronto Mayor John Tory proclaimed April 12 to be Jersey Day in honour of those killed in the accident. On April 14, during Game 1 of the Toronto Raptors and Washington Wizards of the 2018 NBA Playoffs, Canadian rapper Drake wore a Humboldt Broncos jersey to show solidarity. [vague] Canadian professional golfer Brooke Henderson dedicated her win at the LPGA's Lotte Championship to the Broncos. A week after the crash, one of the teams taking part in the Saskatchewan Junior Hockey League (SJHL) championship made a stop to the scene of the crash to pay their respects, with players and coaches stating they felt stopping at the site was an important step in the grieving process. Shortly after the accident, people began leaving their hockey sticks out on their front porches as tributes to the victims. The tribute, known by the social media hashtag #PutYourSticksOut, was started after TSN Radio and former Broncos broadcaster Brian Munz received a text message from a friend urging people to leave their hockey sticks out, stating "the boys might need them ... wherever they are". The grandparents of one of the deceased initially set out to collect and display fifteen sticks but by April 12 had received 50 sticks and other memorabilia. Kingston musician Jason "Smitty" Smith posted a song about the crash on Facebook, the video shares a similar idea from the campaign and is entitled "Leave a Stick Out By the Door" which had generated over 1.3 million views by April 12, 2018. He began working on recording the song professionally and will donate the proceeds to families of the victims. The crash location has been turned into a memorial, with Canadians from all across the country leaving flowers, candles, stuffed bears, stickers, coffee cups, wreaths and hockey sticks. On April 14, 2018, Nipawin resident Rocky Salisbury placed 16 crosses at the crash site to memorialize the dead. At least two tattoo tributes were carried out by those connected to the crash. Two siblings and two friends of survivor Morgan Gobeil had his heartbeat, measured at the hospital, tattooed onto their arms at Rites of Passage Tattoo, who also said fans were making bookings for tribute tattoos, such as of jerseys and team numbers.Mark Antonichuk, a passer-by from Moose Jaw who was one of the first on the scene, had the team's logo tattooed onto his back under the words "With You on the Scene" and above the words "With You Forever". On April 27, 2018, a Country Thunder Humboldt Broncos tribute concert was planned. It was held in Saskatoon and some NHL players attended.Clint Jackson, an artist associated with the Olds Mavericks, created an artwork to commemorate the victims; the piece is a set of wings encasing two hockey sticks, with the faces of the dead airbrushed in the interior. At least one survivor, Graysen Cameron, a previous Olds player, has signed the piece, and it was delivered to Humboldt by the artist. A crowdfunding effort was launched by Humboldt resident Sylvie Kellington within hours of the collision to support victims and their families, and raised more than $1 million within 24 hours, and $4 million by the next day. On April 18, it reached $15,185,502, making it Canada's largest GoFundMe campaign and the second largest in the history of the site. Public discussion on the use of funds raised coincided with the Humboldt Broncos using the services of a Western Canada law firm, MLT Aikins, for assistance. Consideration[by whom?] of possible future NHL salaries to home renovations for disabled access were part of public discussion. The GoFundMe campaign closed on April 18, 2018, at 11:59 PM MST, and the Bronco's President Kevin Garinger met with the media to announce a plan for managing the donations. Under the newly formed Humboldt Broncos Memorial Fund Inc. the funds will be disbursed through a committee that will work with the team and establish how the funds will be disbursed. After the campaign ends the GoFundMe page will stay live, to allow the team to continue to update the public on the progress of allocating the funds. At least one family of a survivor has commented on how the money should be split between the victims. The father of Ryan Straschnitzki has suggested that it be divided evenly by to all 29 victims. It was announced May 17 that it will begin to commence the process of distributing the funds raised through the GoFundMe campaign. Under Saskatchewan law, money raised through a public appeal must follow regulations that includes appointing a supervising judge, submitting a proposed court order for fund allocation and time line for the distribution. No timeline has been announced, for the funds but the father of Evan Thomas who was killed in the crash has stated that the dispersement is not high on any parents minds. Fundraisers and donations outside of the GoFundMe will go to the Humboldt Strong Community Foundation, created with legal counsel from Robert Stromberg LLP. The Foundations' mission will be to support the Broncos' players, employees, families and volunteers as well as first responders, emergency personnel, teams, athletes, organizations, and community affected by the crash and the aftermath. The Canalta Hotel offered free rooms to family members travelling to Saskatchewan after the crash and provided food and support. Restaurants have been handing out free food, and servers from other restaurants in the chain of Boston Pizza came to cover the shifts of workers in Humboldt who had been friends with team members. Other groups such as STARS Air Ambulance and Ronald McDonald House, have been credited by family members of those injured for providing support after the accident and during family members recovery. Wounded Warriors Canada have offered support for the first responders involved with the crash. An online fundraising campaign started by Wounded Warriors Canada and TEMA Conter Memorial Trust raised over $110,000 for Humboldt's first responders. [further explanation needed] Tim Hortons, a Canadian fast-food company, raised $800,000 selling yellow and green sprinkle doughnuts, the proceeds of which were donated to the Humboldt Broncos. Toledo Walleye players and coaches raised $6,040 through a jersey auction during their April 13, 2018 game and then raised the donation total to $10,000 through the teams Walleye Wishing Well charity fund. Family members and friends of those injured and killed have also created their own fundraisers such as a four-on-four hockey tournament, memorial funds for scholarship use, and medical funds. A fake GoFundMe that mimicked the initial one that benefited the entire team was discovered and reported by a Vancouver woman, who grew suspicious when she noticed the account had only $1,300 donated, while the original had over $8 million at the time. Families of those who died due to the accident discovered a website with error-filled obituaries of 11 out of the 16 victims; the public could then purchase an online memorial candle or flowers, although the money would not be donated. One of the more vocal injured players, Ryan Straschnitzki, had a fake Twitter account and GoFundMe set up under his name. The funeral for Tyler Bieber was held on April 12 in Humboldt, Saskatchewan. Three funerals were held on April 13; Jacob Leicht in Humboldt; Adam Herold in Montmartre, Saskatchewan; and bus driver Glen Doerksen in Carrot River, Saskatchewan. Funerals for Darcy Haugan and Brody Hinz were held on April 14 in Humboldt. A celebration of life for Logan Boulet was held on April 14 in Lethbridge, Alberta. A celebration of life for Logan Schatz was held on April 15 in Allan, Saskatchewan. The funeral for Evan Thomas was held April 16 at SaskTel Centre in Saskatoon. A public memorial was held on April 17 at Rogers Place in Edmonton for Jaxon Joseph, Logan Hunter, Parker Tobin, and Stephen Wack. A private service was held for Parker Tobin in Stony Plain, Alberta, on April 16. The funerals for Conner Lukan and Dayna Brons took place on April 18, in Slave Lake, Alberta and Humboldt respectively. The funeral for Logan Schatz was held on April 15 in Allan, Saskatchewan. The funeral for Mark Cross was scheduled for April 21, in Strasbourg, Saskatchewan. The Saskatchewan government plans to hire a private consulting firm to do a safety assessment of the intersection where the crash occurred. Premier Moe has stated that the government is waiting for the RCMP and Ministry of Highways to finish the crash investigation before hiring the firm. In May 2018, it was announced that the Humboldt Broncos Junior Hockey team would be taking steps to be ready for the start of the next season. They are looking to replace positions that had been lost through the accident, as well as an invite-only camp in Saskatoon. ^ Jump up to:a b Morgan Lowrie (April 9, 2018). "Investigating Humboldt Broncos crash likely to be a long process, experts say". Canadian Press. Retrieved 7 May 2018. The semi-truck would have had to yield to a stop sign before crossing over the highway the hockey bus was travelling on. ^ Jump up to:a b Andre Picard (April 9, 2018). "Humboldt team bus crash is a tragic reminder that we need safer roads". Globe and Mail. Retrieved 8 May 2018. But, from the violence of the crash, it is clear that one of two vehicles failed to yield at an intersection where fatal crashes have occurred before. ^ Jump up to:a b Andrew Russell; Stewart Bell (April 12, 2018). "Humboldt bus crash cause unknown as new details on truck and bus driving companies emerge". Global News. Retrieved 8 May 2018. Scott Thomas, father of Broncos forward Evan Thomas who was killed in the crash, said a police officer shortly after the crash told him a driver ran the stop sign. "The police officer says someone blew a stop sign", Thomas told Global News. He also said he doesn't believe the sun played a factor in the crash. Jump up^ "Sixteenth Humboldt Broncos collision victim has died: health authority". ctvnews.ca. April 11, 2018. Archived from the original on April 12, 2018. Retrieved April 11, 2018. Jump up^ Tristin Hopper (April 20, 2018). "The hard lessons that can be learned from the Humboldt Broncos crash". The National Post. Retrieved 11 May 2018. On Thursday, RCMP confirmed that the semi-truck which collided with the Humboldt Broncos team bus was in an intersection when it shouldn't have been. Jump up^ Creeden Martell (July 6, 2018). "Driver of semi in Humboldt Broncos bus crash faces 29 charges". Canadian Broadcasting Corporation. Retrieved 6 July 2018. ^ Jump up to:a b Schmunk, Rhianna (April 9, 2018). "Humboldt Broncos crash site is no stranger to tragedy". Canadian Broadcasting Corporation. Archived from the original on April 9, 2018. Retrieved April 10, 2018. Jump up^ Nielsen, Kevin (April 8, 2018). "Humboldt Broncos crash not the first deadly collision at Highway 35 and Highway 335". Global News Winnipeg. Archivedfrom the original on April 9, 2018. Retrieved April 18, 2018. ^ Jump up to:a b c "Humboldt Broncos bus crash: What the photos show about the point of impact". National Post. April 8, 2018. Retrieved April 10, 2018. Jump up^ "Crash that killed 15 prompts calls for more safety at small-town crossing". CBC News. April 9, 2018. Archived from the original on April 9, 2018. Retrieved April 9,2018. Jump up^ Ciolfe, Terra (April 10, 2018). "Saskatchewan is the most dangerous place to drive in Canada". Maclean's. Archived from the original on April 11, 2018. Retrieved April 12, 2018. Jump up^ "One of the darkest days in the history of Saskatchewan". Maclean's. April 6, 2018. Archived from the original on April 7, 2018. Retrieved April 7, 2018. ^ Jump up to:a b "Death toll rises to 15 in Humboldt Broncos junior hockey team bus crash". Canadian Broadcasting Corporation. April 7, 2018. Archived from the original on April 8, 2018. Retrieved April 7, 2018. Jump up^ "Humboldt crash survivor heard a scream, saw the truck and everything went black". edmonton.citynews.ca. April 9, 2018. Archived from the original on April 12, 2018. Retrieved April 11, 2018. ^ Jump up to:a b "'The front of the bus was gone': A father arrives at the Humboldt crash site | CBC News". Canadian Broadcasting Corporation. Archived from the original on April 14, 2018. Retrieved April 16, 2018. Jump up^ "Humboldt bus crash survivor: 'I want to play hockey again'". ESPN.com. Retrieved 2018-05-19. Jump up^ Russell, Andrew (April 28, 2014). "Humboldt bus crash cause unknown as new details on truck and bus driving companies emerge". Globalnews.ca. Archivedfrom the original on April 14, 2018. Retrieved April 15, 2018. Jump up^ "Nipawin RCMP – Fatal motor vehicle collision". Royal Canadian Mounted Police. Public Safety Canada. April 7, 2018. Archived from the original on April 8, 2018. Retrieved April 8, 2018. Jump up^ Ellis, Ralph; Chavez, Nicole; Hassan, Carma (April 7, 2018). "At least 15 killed in bus crash involving Canadian junior hockey team". CNN. Archived from the original on April 7, 2018. Retrieved April 8, 2018. Jump up^ "'You are in Saskatchewan's hearts':14 confirmed dead in junior hockey team bus crash". Canadian Broadcasting Corporation. April 6, 2018. Archived from the original on April 7, 2018. Retrieved April 7, 2018. Jump up^ Rieger, Sarah (April 7, 2018). "Lethbridge hockey player's organs to be donated after fatal Humboldt Broncos bus crash". Canadian Broadcasting Corporation. Archived from the original on April 9, 2018. Retrieved April 8, 2018. Jump up^ Nielsen, Kevin (April 11, 2018). "Humboldt Broncos trainer Dayna Brons dies as a result of injuries suffered in crash". globalnews.ca. Archived from the original on April 12, 2018. Retrieved April 11, 2018. ^ Jump up to:a b c "Humboldt Broncos bus crash: 10 players, driver, 2 coaches, volunteer, broadcaster confirmed dead". Saskatoon StarPhoenix. April 9, 2018. Archivedfrom the original on April 10, 2018. Retrieved April 11, 2018. Jump up^ "Deaths, injuries confirmed in hockey team bus crash". CBC News. Archivedfrom the original on April 19, 2018. Retrieved April 7, 2018. Jump up^ Ryan McKenna; Kelly Geraldine Malone (April 7, 2018). 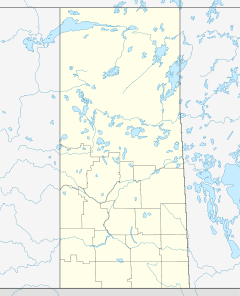 "Not known what caused Saskatchewan bus crash that killed 15: RCMP". National Post. Retrieved April 7,2018. Jump up^ Wadhwani, Ashley (April 7, 2018). "RCMP say cause of fatal Humboldt Broncos bus crash is still unknown". Ponoka News. Archived from the original on April 9, 2018. Retrieved April 9, 2018. ^ Jump up to:a b c Dormer, Dave (April 10, 2018). "Truck involved in Humboldt Broncos crash belongs to Calgary company". Canadian Broadcasting Corporation. Archivedfrom the original on April 10, 2018. Retrieved April 11, 2018. Jump up^ "Players' families share heart-breaking news on Humboldt Broncos' tragedy". 650 CKOM. April 7, 2018. Archived from the original on April 19, 2018. Retrieved April 7, 2018. Jump up^ Kalvapalle, Rahul (April 7, 2018). "Humboldt Broncos team captain among 14 killed in fatal Saskatchewan crash". Global News. Archived from the original on April 7, 2018. Retrieved April 7, 2018. Jump up^ "LIVE UPDATES: Two defencemen, bus driver, stats keeper among 16 dead in Humboldt Broncos crash". ctvnews.ca. April 8, 2018. Archived from the original on April 8, 2018. Retrieved April 8, 2018. Jump up^ Mike Hager; Jana G. Pruden; Ingrid Peritz; Renata D'Aliesio; Dakashana Bascaramurty; Kelly Cryderman (April 8, 2018). "What we know about the Humboldt bus crash victims". The Globe and Mail. Archived from the original on April 9, 2018. Retrieved April 10, 2018. Jump up^ "Humboldt Broncos bus crash claims 16th victim, as athletic therapist dies in hospital". Canadian Broadcasting Corporation. April 11, 2018. Archived from the original on April 11, 2018. Retrieved April 11, 2018. ^ Jump up to:a b c "A tiny community tries to cope with unspeakable tragedy". Sports Illustrated. Archived from the original on April 17, 2018. Retrieved April 17, 2018. ^ Jump up to:a b "For first responders, Humboldt Broncos crash was 'just too close to home'". National Post. April 10, 2018. Retrieved April 17, 2018. Jump up^ "Supporting those affected by Humboldt Broncos bus crash tragedy". Global News. Retrieved April 20, 2018. ^ Jump up to:a b "'I want to be able to hug the families and say sorry': Key witness recounts Humboldt Broncos bus crash". CBC News. Retrieved 2018-05-07. Jump up^ "Update on Humboldt Broncos bus crash investigation expected today - NEWS 1130". NEWS 1130. April 19, 2018. Retrieved April 19, 2018. ^ Jump up to:a b "Too early to talk charges in fatal Humboldt Broncos bus crash, police say". CBC News. Retrieved April 19, 2018. ^ Jump up to:a b "'A lot of unanswered questions': Humboldt Broncos bus crash is top priority, says RCMP commander". Saskatoon StarPhoenix. April 19, 2018. Retrieved April 23, 2018. ^ Jump up to:a b "Truck driver in Humboldt bus tragedy faces 29 charges". thestar.com. July 6, 2018. Jump up^ "Statement by the Prime Minister on the tragic bus crash in Saskatchewan"(Press release). PMO. April 7, 2018. Archived from the original on April 9, 2018. Jump up^ Marney Blunt; Phil Heidenreich (April 6, 2018). "RCMP say 'significant resources' deployed to deadly Saskatchewan crash involving hockey team's bus". globalnews.ca. Archived from the original on April 7, 2018. Retrieved April 7,2018. Jump up^ "A message from The Queen and The Duke of Edinburgh following the recent bus crash in Canada". The Royal Family. Archived from the original on April 9, 2018. Retrieved April 8, 2018. Jump up^ "Reaction to Humboldt Broncos team bus crash that killed 14 people". Vancouver Courier. April 7, 2018. Retrieved April 7, 2018. Jump up^ "U.S. President Donald Trump tweets about fatal Humboldt Broncos crash". saskatoon.ctvnews.ca. April 7, 2018. Archived from the original on April 7, 2018. Retrieved April 8, 2018. Jump up^ "Ellen DeGeneres pays tribute to Humboldt Broncos in Calgary". CTVNews. April 22, 2018. Retrieved April 23, 2018. Jump up^ "Prayers and tears for victims of Humboldt Broncos tragedy". National Catholic Register. April 9, 2018. Archived from the original on April 10, 2018. Retrieved April 11, 2018. Jump up^ "'The impact is massive': Sheldon Kennedy recounts Swift Current crash in wake of fatal Humboldt collision". Calgary Herald. April 7, 2018. Archived from the original on April 7, 2018. Jump up^ "Former NHLer Sheldon Kennedy headed to Saskatchewan in wake of Humboldt Bronco bus crash". globalnews.ca. April 7, 2018. Archived from the original on April 8, 2018. Jump up^ Lasaurk, Les (April 10, 2018). "While Broncos Grieve, the SJHL Playoffs Are Suspended". cjwwradio.com. Archived from the original on April 19, 2018. Jump up^ "SJHL votes unanimously to go ahead with playoffs". The Sports Network. April 11, 2018. Archived from the original on April 12, 2018. Retrieved April 11, 2018. ^ Jump up to:a b "MJHL postpones Sunday's playoff game". mjhlhockey.ca. April 7, 2018. Archived from the original on April 8, 2018. Retrieved April 7, 2018. Jump up^ "Humboldt bus crash: What we still don't know about the deadly collision". Global News. Archived from the original on April 11, 2018. Retrieved April 10,2018. Jump up^ Pearson, Heide (April 9, 2018). "Thousands of Canadians share letter of support for unidentified truck driver after deadly Humboldt crash". globalnews.ca. Archived from the original on April 12, 2018. Retrieved April 10, 2018. ^ Jump up to:a b Bartko, Karen (April 8, 2018). "Coroner apologizes after mistaking Humboldt Broncos victim; Xavier Labelle is alive". globalnews.ca. Archived from the original on April 10, 2018. Retrieved April 8, 2018. Jump up^ Lough, Blake (April 10, 2018). "Paralyzed from Saskatchewan bus crash, Ryan Straschnitzki plots return to ice". globalnews.ca. Archived from the original on April 12, 2018. Retrieved April 11, 2018. Jump up^ Andrew Russell; Stewart Bell (April 13, 2018). "Humboldt bus crash cause unknown as new details on truck and bus driving companies emerge". globalnews.ca. Archived from the original on April 13, 2018. Retrieved April 13,2018. Jump up^ "Canadian Blood Services says donations spiked after Humboldt Broncos bus crash". Canadian Broadcasting Corporation. April 12, 2018. Archived from the original on April 14, 2018. Retrieved April 15, 2018. Jump up^ Hunt, Stephen (April 10, 2018). "Logan Boulet effect causes spike in organ donor registration". Canadian Broadcasting Corporation. Archived from the original on April 14, 2018. Retrieved April 15, 2018. Jump up^ "Tributes continue to pour in for victims in Humboldt tragedy". The Sports Network. April 7, 2018. Archived from the original on April 8, 2018. Retrieved April 10, 2018. Jump up^ Wang, Amy (April 7, 2018). "At least 14 killed in bus crash involving Canadian junior hockey team". The Washington Post. Archived from the original on April 8, 2018. Jump up^ "Jets, Blackhawks honour Humboldt Broncos in regular-season finale". Canadian Broadcasting Corporation. April 7, 2018. Archived from the original on April 8, 2018. Retrieved April 8, 2018. Jump up^ "Jets, Blackhawks pay tasteful tribute to Humboldt Broncos". Yahoo Sports. April 7, 2018. Archived from the original on April 8, 2018. Jump up^ "Hockey world mourns Humboldt Broncos after tragic bus crash". ESPN. April 8, 2018. Archived from the original on April 12, 2018. Retrieved April 11, 2018. Jump up^ Frisk, Adam (April 11, 2018). "Sidney Crosby has specialized Pittsburgh Penguins jersey made to honour Humboldt Broncos". globalnews.ca. Archived from the original on April 15, 2018. Retrieved April 14, 2018. Jump up^ "WATCH: Humboldt Broncos player gets standing ovation from Winnipeg Jets fans at NHL playoff game". CBSSports.com. Retrieved April 21, 2018. Jump up^ Zwirz, Elizabeth (April 15, 2018). "Injured Humboldt Broncos get visit from Stanley Cup". Fox News Channel. Archived from the original on April 17, 2018. Retrieved April 17, 2018. Jump up^ Regan, J.J. (June 14, 2018). "Chander Stephenson will spend his day with the Stanley Cup in Humboldt". NBC Sports. Retrieved June 16, 2018. Jump up^ "Surviving Humboldt Broncos reunite for special moment at NHL Awards". sportsnet.ca. June 19, 2018. Retrieved June 19, 2018. Jump up^ Cotsonika, Nicholas J. (June 20, 2018). "Humboldt coach killed in bus crash remembered at NHL Awards". NHL.com. Retrieved June 20, 2018. Jump up^ Morreale, Mike G. (June 22, 2018). "Humboldt Presented E.J. McGuire Award of Excellence". nhl.com. Retrieved June 22, 2018. Jump up^ Quenneville, Guy (April 8, 2018). "'We will get through this': Hundreds honour Humboldt Broncos at vigil on home ice". Canadian Broadcasting Corporation. Archived from the original on April 8, 2018. Retrieved April 8, 2018. Jump up^ Dangerfield, Katie (April 12, 2018). "'Jersey Day' for Humboldt Broncos spreads across Canada — and the world". globalnews.ca. Archived from the original on April 13, 2018. Retrieved April 12, 2018. Jump up^ McKenzie-Sutter, Holly (April 12, 2018). "Canadians join Jersey Day to honour Humboldt Broncos — 'We are all one team'". Toronto Star. Archived from the original on April 13, 2018. Retrieved April 12, 2018. Jump up^ "Canadians stand with Humboldt in their best jerseys | CBC Sports". Canadian Broadcasting Corporation. Archived from the original on April 13, 2018. Retrieved April 13, 2018. Jump up^ "Drake honours Humboldt with Broncos jersey at Raptors' playoffs opener". sportsnet.ca. April 14, 2018. Archived from the original on April 15, 2018. Retrieved April 14, 2018. Jump up^ "Henderson wins sixth LPGA title in memory of Humboldt". golfchannel.com. April 15, 2018. Archived from the original on April 16, 2018. Retrieved April 15,2018. Jump up^ "Estevan Bruins stop to pay respects at Humboldt Broncos bus crash site". Global News. Archived from the original on April 17, 2018. Retrieved April 16,2018. Jump up^ "'The boys might need them': Hockey sticks left out in tribute to Humboldt Broncos". CTVNews. April 9, 2018. Archived from the original on April 10, 2018. Retrieved April 9, 2018. Jump up^ CNN, Gianluca Mezzofiore,. "Hockey stick tributes for team in devastating crash". CNN. Archived from the original on April 9, 2018. Retrieved April 9,2018. Jump up^ Shield, David (April 9, 2018). "Humboldt Broncos supporters across Canada, U.S. leave hockey sticks outside in tribute". Canadian Broadcasting Corporation. Archived from the original on April 9, 2018. Retrieved April 9, 2018. Jump up^ Joseph, Rebecca (April 12, 2018). "Call for 15 hockey sticks became much more at home of grandparents of Humboldt crash victim". globalnews.ca. Archivedfrom the original on April 14, 2018. Retrieved April 14, 2018. Jump up^ "Kingston musician's song about Humboldt bus crash goes viral". Global News. Retrieved 2018-04-25. Jump up^ "PHOTOS: Memorial grows at Humboldt Broncos bus crash site". Regina Leader-Post. April 14, 2018. Archived from the original on April 17, 2018. Retrieved April 17, 2018. Jump up^ "Archived copy". Archived from the original on April 18, 2018. Retrieved April 17, 2018. Jump up^ Chase, Kelly (April 26, 2018). "For Humboldt". The Players' Tribune-Hockey. The Players' Tribune. Retrieved April 30, 2018. Jump up^ "Humboldt Broncos tribute concert: Musicians lift spirits, honour bus crash victims". The Star Phoenix. April 27, 2018. Retrieved May 1, 2017. Jump up^ "Humboldt Broncos player Graysen Cameron returns to Olds for start of lacrosse season". CBC News. Retrieved 2018-04-30. Jump up^ Benning, Kyle (April 7, 2018). "GoFundMe for Humboldt Broncos bus crash victims surpasses $5M". globalnews.ca. Archived from the original on April 8, 2018. Retrieved April 8, 2018. Jump up^ "GoFundMe for Humboldt Broncos closes with over $15M donated". Global News. Archived from the original on April 19, 2018. Retrieved April 19, 2018. Jump up^ Dangerfield, Katie (April 11, 2018). "Humboldt Broncos GoFundMe passes $10M: Why people around the world are donating". globalnews.ca. Archived from the original on April 12, 2018. Retrieved April 11, 2018. Jump up^ "Fundraiser by Sylvie Kellington: Funds for Humboldt Broncos". GoFundMe. Archived from the original on April 12, 2018. Retrieved April 11, 2018. Jump up^ Ireland, Nicole (April 14, 2018). "Where will the money go? Unprecedented donations keep pouring in for Humboldt Broncos". Canadian Broadcasting Corporation. Archived from the original on April 14, 2018. Retrieved April 15,2018. Jump up^ "Humboldt Broncos GoFundMe campaign closes Wednesday". Global News. Archived from the original on April 17, 2018. Retrieved April 17, 2018. Jump up^ O'Reilly, Sean (April 18, 2018). "GoFundMe page for Humboldt Broncos Jr. hockey team to stop collecting donations on Wednesday night". WFTS. Archived from the original on April 19, 2018. Retrieved April 18, 2018. Jump up^ "Francis: Straschnitzki offers advice on how to split GoFundMe Broncos money". Calgary Sun. 2018-04-27. Retrieved 2018-04-29. Jump up^ "Humboldt Broncos lay out legislative process for distributing GoFundMe proceeds". Regina. 2018-05-17. Retrieved 2018-05-19. Jump up^ "Humboldt Broncos announce process to distribute GoFundMe funds". Global News. Retrieved 2018-05-19. Jump up^ "Humboldt Broncos GoFundMe that's raised millions will accept funds for 2 more days | CBC News". Canadian Broadcasting Corporation. Archived from the original on April 16, 2018. Retrieved April 17, 2018. Jump up^ "Kindness everywhere after Humboldt Broncos bus crash kills 16". Global News. Archived from the original on April 17, 2018. Retrieved April 17, 2018. Jump up^ Graveland, Bill (April 15, 2018). "'It's all about the Broncos:' Kindness everywhere after bus crash kills 16". Times Colonist. Archived from the original on April 18, 2018. Retrieved April 16, 2018. ^ Jump up to:a b "Brother of injured Humboldt Broncos player to hold fundraiser hockey tournament | The Star". thestar.com. Retrieved 2018-04-30. Jump up^ "First responders face long-term risk of PTSD after Humboldt | CBC News". Canadian Broadcasting Corporation. Retrieved April 19, 2018. Jump up^ "Tim Hortons doughnut raises $800K for Humboldt after stirring up controversy". Global News. Retrieved April 21, 2018. Jump up^ "Walleye players honor bus crash victims with helmet decals". The Blade. 2018-04-23. Retrieved 2018-04-24. Jump up^ "A Fake GoFundMe For The Humboldt Broncos Has Appeared And Is Collecting Money To Pocket For Themselves". Retrieved 2018-05-03. Jump up^ "Humboldt Broncos families surprised obituaries are on website selling services". Global News. Retrieved 2018-05-03. Jump up^ "'Absolute jerks': Paralyzed Humboldt Broncos player, parents furious over fake GoFundMe". Global News. Retrieved 2018-05-01. Jump up^ "Celebration of life for Humboldt Broncos player Logan Boulet held Saturday". globalnews.ca. April 14, 2018. Retrieved April 18, 2018. Jump up^ "Humboldt Broncos captain Logan Schatz remembered as hard-working leader at funeral". April 14, 2018. Retrieved April 18, 2018. Jump up^ "Humboldt Broncos bus crash: 'Short but amazing life' of Evan Thomas remembered at funeral". ctvnews.ca. April 17, 2018. Archived from the original on April 17, 2018. Retrieved April 18, 2018. Jump up^ "Edmonton memorial honours 4 fallen Humboldt Broncos players | CBC News". Canadian Broadcasting Corporation. Archived from the original on April 18, 2018. Retrieved April 18, 2018. Jump up^ "What we know about the funerals and memorials for victims of the Humboldt Broncos bus crash". Canadian Broadcasting Corporation. April 12, 2018. Archived from the original on April 15, 2018. Retrieved April 18, 2018. Jump up^ "Funerals held for two players, bus driver who died in Saskatchewan hockey bus crash". ctvnews.ca. April 13, 2018. Archived from the original on April 14, 2018. Retrieved April 13, 2018. Jump up^ "What we know about the funerals and memorials for victims of the Humboldt Broncos bus crash | CBC News". Canadian Broadcasting Corporation. Archivedfrom the original on April 15, 2018. Retrieved April 17, 2018. Jump up^ "Mark Cross Obituary". Regina Leader Post. Archived from the original on April 19, 2018. Retrieved April 18, 2018. Jump up^ "Sask. to hire firm to assess intersection where Humboldt Broncos crash occurred". Global News. Retrieved 2018-05-01. Jump up^ "Humboldt Broncos junior hockey team makes plans to return next season after bus crash". USA TODAY. Retrieved 2018-05-13. Apr 8, 2018 - The Humboldt Broncos team bus collided with a semi-trailer Friday, leaving 15 dead and 14 injured.